An outdoor kitchen is an underrated home feature. Once you own an extensive outdoor kitchen, you’ll understand what a necessity it really is, a vast upgrade from the dull and limited backyard barbecue pit. 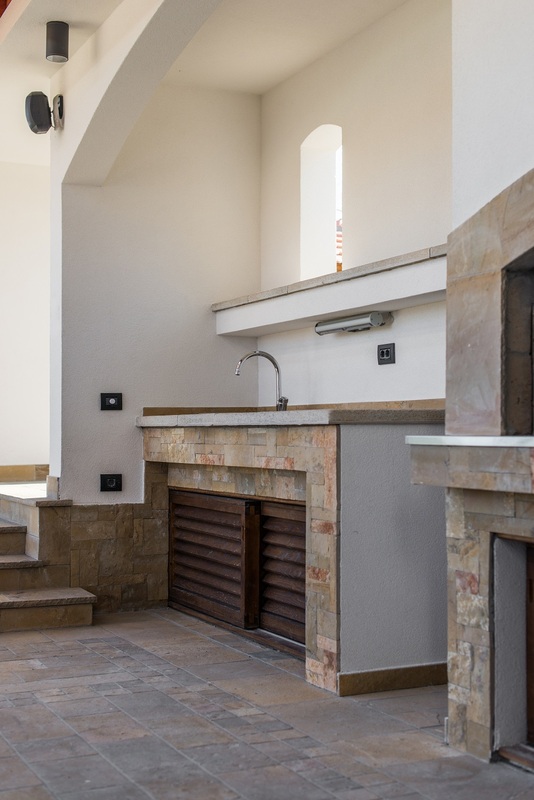 Of course, the only way to truly experience the potential of your very own custom outdoor kitchen is to give it the features it needs to suit all of your cooking and entertaining desires. If you need a good outdoor kitchen designs idea in Orlando, FL, read this guide to the absolute must-have appliances. Outdoor kitchen contractors recommend these features for a kitchen with unlimited possibilities. Forget having to tend to meat on the grill while your guests are around the house or swimming in the pool. You should be part of the fun. A rotisserie grill cooks meat evenly, from your Thanksgiving turkey to an amazing roasted fish. All you have to do is set your protein in place, fire up the rotisserie, and then get back to your party. Do you want to truly impress your guests? Install one of the most innovative and powerful grills known to man, the infrared grill. Using intense infrared heat, these grills essentially broil your food for rich moistness, perfectly crisp exteriors, and the intensity of fresh bursts of flavor. Cooking your food with infrared may seem like an imaginary feature from a spy movie, but outdoor kitchens contractors can make it come to life. Outdoor kitchen builders can also design a custom brick pizza oven for your outdoor kitchen. Stunning to look at and supreme in bringing out the best pizza flavors you’ll ever experience, brick pizza ovens are actually better suited to the outdoor. If you’re a true pizza fan, then don’t even think about making a pie again without a wood or gas-fired brick oven. There’s nothing like a slow-cooked meal. You can taste the passion and the effort that went into crafting every bite. From the perfectly soft loaf of bread to fall-off-the-bone meats and veggies that practically melt in your mouth, slow cooking is the way to go. But you can forget about bulky and awkward crock pots that crowd precious counter space. Warming drawers are compact, all-in-one cooking compartments that fit seamlessly into your outdoor kitchen cabinetry. Outdoor kitchen construction companies don’t just offer the flavors of the outdoors. They offer a supreme entertainment experience. What could be more charming than collecting your favorite friends and family members and gathering around an open, outdoor fire? Fire pits are gas or wood-powered fire grills that actually double as a serving and entertainment piece. Cook, serve, and eat, right from your outdoor seat. Hopefully, these must-have appliances have kickstarted your outdoor kitchen designs idea in Orlando, FL. If you want to learn more about building a stunning kitchen for your home, visit a local outdoor kitchen contractor.